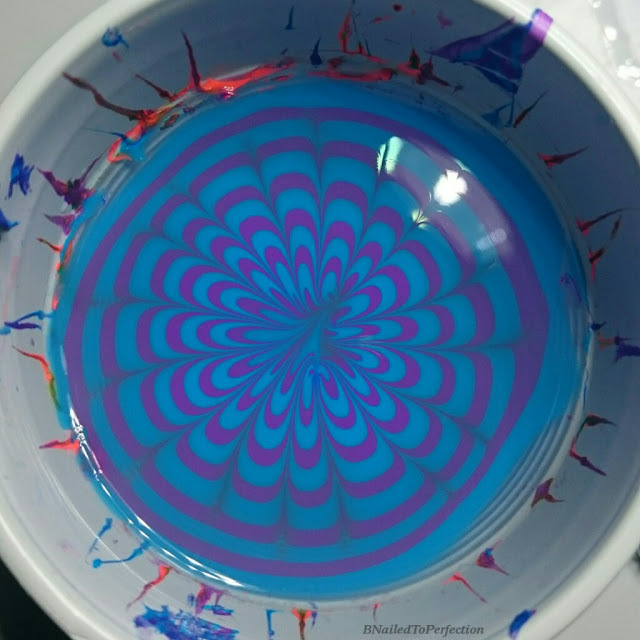 So I recently bought the Pure Color 7 water marble tool from What's Up Nails as I had seen a lot of water marble manis that had been done using this tool and they looked awesome! I really like this tool as it's nice and easy to hold and it really helps you to draw a better pattern in the polish. 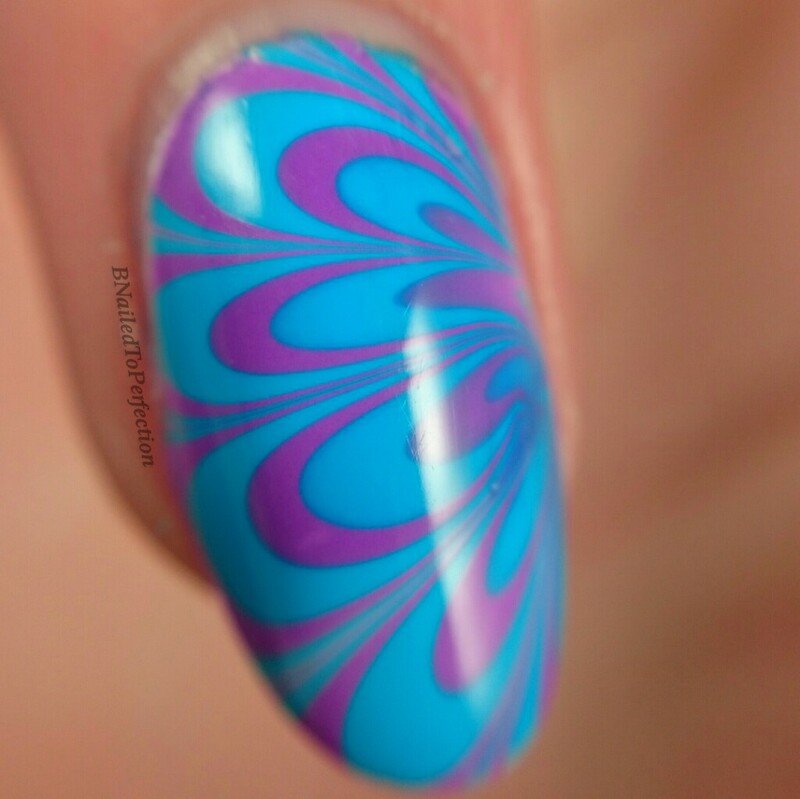 My water marble's need a bit of practise as I still get air bubbles sometimes but I'm sure I'll get there. 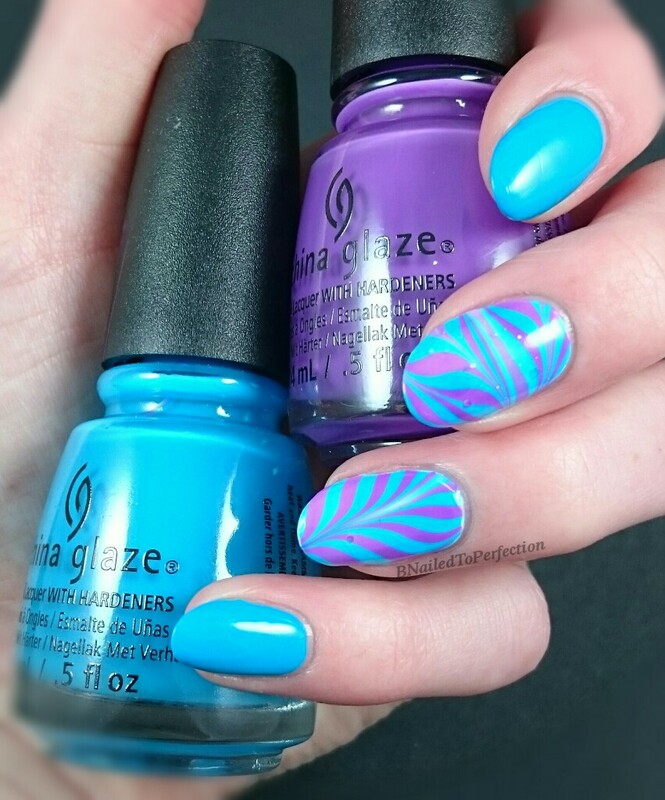 For my base I used 2 coats of Morgan Taylor All White Now and DJ Blue My Mind and Plurple for the water marble. 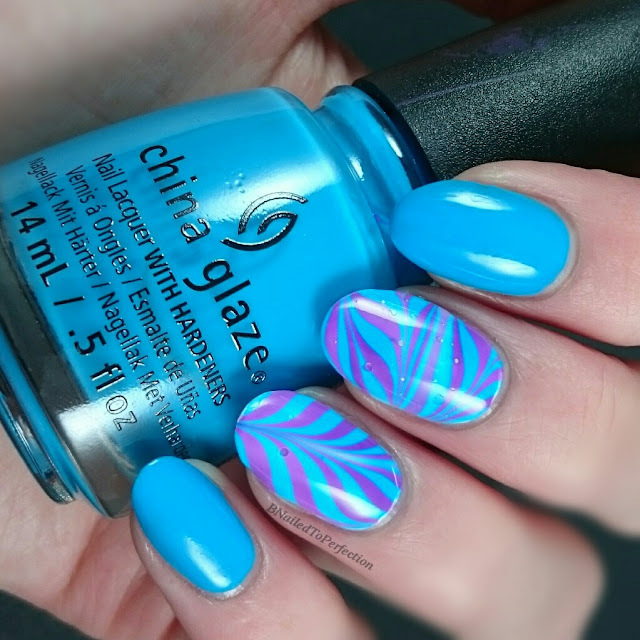 Plurple from China Glaze Electric Nights collection. DJ Blue My Mind China Glaze Electric Nights collection. I used this on my other nails too. It's a lovely deep sky blue. This is 2 coats. After I did these two accent nails I decided to try a flower pattern for my nails on my other hand and that went really well. I wished I had tried that first lol! I was so pleased with how it came out I just had to take a marco shot of the pattern in the cup and the nail! As usual everything was top coated with HK Girl Fast Dry Top Coat. 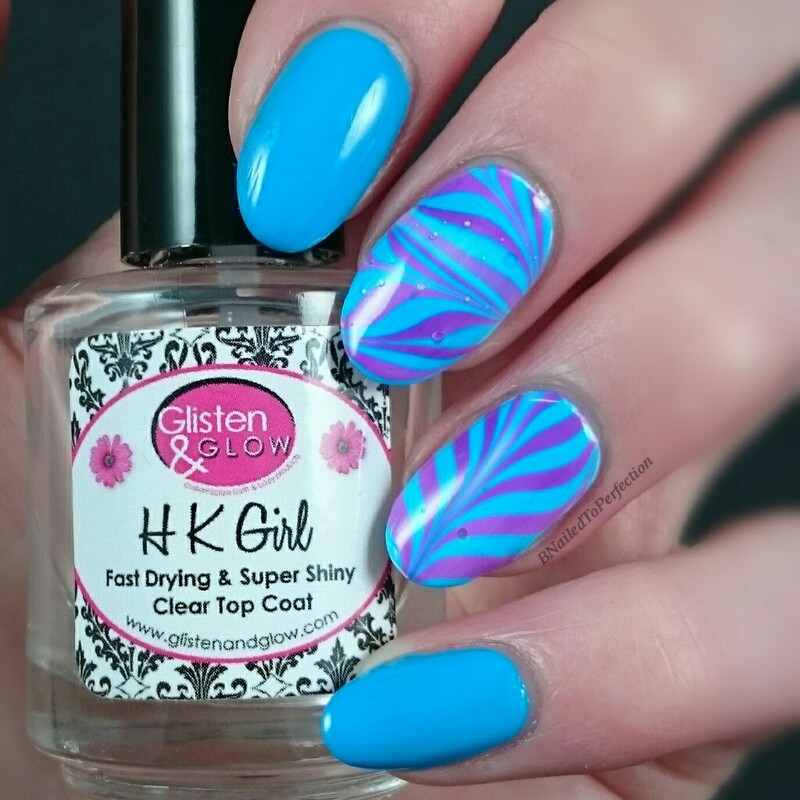 Here's a video tutorial for these accent nails. 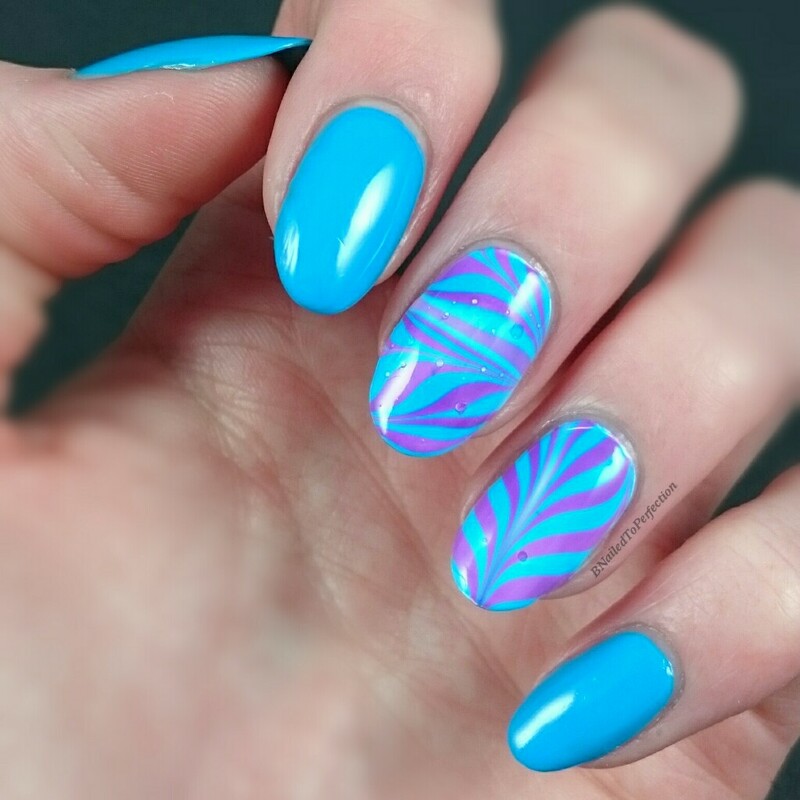 So what d'ya think of this attempt at water marble nails? Any tips for stopping the air bubbles?